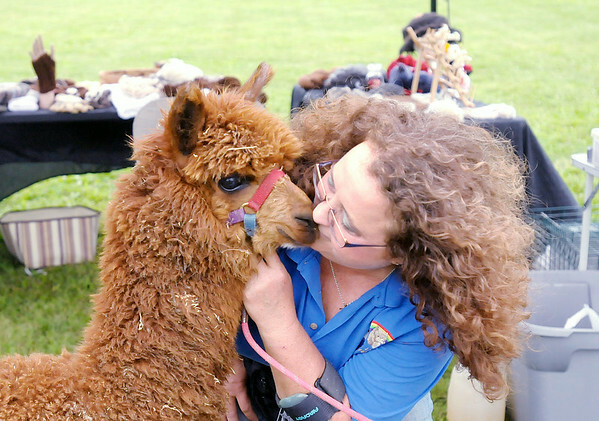 Debra Schneider from Little bit of Heaven Farm kisses her alpaca Flash during the People and Pets Extravaganza at New Horizons United Methodist Church on Saturday. When Flash was rejected by his mother Schneider brought him into her home and bottle fed him. To view or buy this photo and other Herald Bulletin photos, visit photos.heraldbulletin.com.